3-month iRacing.com subscriptions will be announced on Friday! 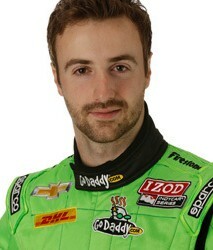 Canadian James Hinchcliffe is one of the emerging stars of the IZOD IndyCar Series. After a steady rise through Formula BMW, Star Mazda, Toyota Atlantic and Firestone Indy Lights, winning races at every level, Hinchcliffe sprung to prominence in 2011 when, despite missing the opening race of the season, he claimed Rookie of the Year honors with Newman/Haas Racing. 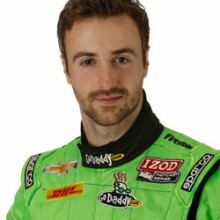 He struggled to maintain that momentum after Newman/Haas announced it would not return for 2012, but Hinchcliffe’s record behind the wheel, allied to his engaging personality, led to him being tabbed by Andretti Autosport to succeed Danica Patrick at the wheel of the distinctive GoDaddy car. He currently lies an impressive third in the point standings after finishing among the top six in all but one of the first seven races. James Hinchcliffe answers your questions! I am trying to come up with different ideas to set myself apart. How did you come up with the idea for your website? Was this something you did on your own or did you go to professionals for creative ideas? At the time I was working with a company that was helping me out with the branding side of the sport. They really were the ones that put it in my head that I had to do something different from everyone else; that I had to stand out off the race track. Armed with that mentality, together we came up with the idea for Hinchtown. The only advice I can give in this department is to find something that is really you. Don’t manufacture something just to stand out, because if it isn’t genuine people will know right away. If the opportunity presented itself, would you recommend a few years of racing in Europe for a young driver to prepare for Indy cars? Honestly, no. If your goal is IndyCar racing, stay in North America. Mazda has done something for young drivers that has NEVER been done before with the Road To Indy program. It is the most incredible motorsports initiative I have ever seen and makes the path so clear for young drivers. Would racing over in Europe teach a young driver a lot and be a good experience? Absolutely. No doubt. But if two kids come out of karts together, one goes to Europe for four years the other participates in the RTI with equal success and they meet up again in Indy Lights, I can tell you right now who I, and most of the IndyCar team owners, would be looking at more closely. My goal is to race in the Indy 500 one day. What was it like when you made your debut at Indianapolis? What was going through your mind on the grid and as you came up for the green flag? Every driver you ask this question will tell you the same thing. The biggest thing you notice doing those parade laps is the crows. You pound around the Speedway all month looking at empty grandstands, and then all of a sudden the largest collection of human beings for a sporting event is sitting there staring you in the face! It makes the track seem like it’s alive. There is so much colour and movement. It really is one of the coolest things I’ve ever experienced. Good luck to you, I hope you get to see it one day! What is your opinion on the pros and cons or left- or right-foot braking? I keep hearing that Dario Franchitti is one of the few top drivers who brakes with his right foot, but he seems to do okay. He seems to do more than ok!!! But he really is in the minority. He seems to be an exception to the rule rather than the rule itself. There are obviously pros and cons to both, but especially with the direction top level formula cars are going, with paddle shifts, hand clutches, smaller foot boxes etc., I think that left foot braking will continue to be the more common practice. I am trying to move up to the top in open-wheel racing. How long should I plan to stay at each level? Some of the advice I have received was two years at each level unless I win the championship. Two years is kind of the standard philosophy. The thought being you spend one year to learn the ropes in a new series and then in year two you fight for the title. That has certainly worked for a lot of guys. The biggest thing I will say is never move up too quick. It’s the biggest, and most common, mistake I see young drivers do. If it takes a third year somewhere, so be it. The extra year of experience and maturity will serve you well when you land at the top. How have you been able to cope with all the questions about filling Danica Patrick’s shoes in the GoDaddy car? Interesting question! But it really hasn’t been that bad. I mean, yes there have been a lot of conversations and questions about it, but it’s not like I didn’t know that was coming. Danica is one of the biggest acts in professional sports, so following that I always knew was going to be tough and going to garner some extra attention. The big thing is we are going to every race this year for the first time without Danica in the Go Daddy car, so you get the questions from a new audience every weekend. I was ready for it, I understand it and so I am ok with it. I know as you move up the racing ladder, the cars become more physical to drive. How did you prepare yourself for each step along the way, and which transition did you find to be the most difficult? The most difficult was definitely the jump up to IndyCar. But I had the benefit of being hooked up with Jim Leo and PitFit training from an early point in my career. So for two years before I ever drove an Indy car, I was training alongside guys like Scott Dixon and Will Power, so I knew exactly where their fitness was and what I needed to do to be at their level. What part of your fitness routine do you focus on the most? Has there been one area that has helped you the most in your racing? I couldn’t pick one area specifically. Overall fitness is needed to be successful in racing. When I started regularly training at PitFit in Indianapolis, I saw a massive difference with how I felt in the car and how that helped my driving. From your perspective, which is the most important member of a race team, and does that change as you move up the ladder? In my mind the team manager is the most important member of the team. Racing is a sport of people. I’ve always said that it’s not about engines or tires or cars. It’s about people. If you have the right group of people, you will be successful. And while the engineer is responsible for the setup, the mechanics for the car, the driver for driving, etc., it’s the team manager that is responsible for the people. Finding the right ones and putting in the right place to be successful. It’s a tough job that doesn’t get enough credit. I am looking to move into the USF2000 championship and there seem to be a lot of teams that are capable of doing a good job. How should I decide which team to join? Certainly looking at things like costs and track record is important, but the biggest thing to be successful is chemistry. I would spend some time with each team, get to know the people, see the shops and how they work, and go with the environment that suits you the best. With the right people in place you can make almost any team a winner. What is your impression of the DW12 Indy car this year? How does it compare to last year’s car? My first impression of the car wasn’t great. It didn’t suit my style very well and I had to adapt quite a bit. But the more time the teams had to work on it and get the setups refined and the more time I had to figure out what it wanted from the driver’s seat, the more I have liked it. It is very different to drive from the old car, but the downforce and the brakes are a big step forward. The new engine architecture is fun too! I think it has made the racing better as well, which everyone is a fan of! Thanks for taking the time. That race at Texas recently looked crazy. How was it for you and do you have a different mindset when approaching a race like this? The race at Texas WAS crazy, but finally for all the right reasons! The race threw a lot of curve balls at the teams and drivers because it was the first time we were racing this car in that kind of aero configuration. You had to really manage the tires and adjust the car and your driving as each stint went on. I don’t think you adjust your mindset too much heading into this kind of race. The fundamentals are the same, but you just have to deal with a few unique challenges along the way. You can’t change what you can’t change. Whether it’s in racing or in everyday life. So there is no point wasting your energy on it. If a guy blocks you on track or punts you out of the way, can you change that? No. So don’t get angry because that wastes energy that you should be putting towards getting the best out of yourself. It literally applies to every situation in life. If you can’t change it, let it go. Are there any tips for increasing followers on social media? I am a driver in the junior ranks. Also, is this something that potential sponsors look at? Thanks for your time and help. This is a huge element of our sport. Sponsors definitely look at what your ‘reach’ is on social media. The best way to gain followers is to interact. Interact with fans, sponsors, series and other drivers. In a way social media growth comes from word of mouth, so the more mouths talking to you the better chance you have of growing. Did you take any public speaking or media training courses at the beginning of your career? I never took any public speaking classes, no. While coming up through the Mazda Road to Indy, Mazda would actually give the entire series a day of overall media training to get you used to the kinds of challenges you will face as a professional racing driver, and that was an invaluable experience. Because of the nature of the sport these days, if public speaking is an area you struggle with, I would highly recommend taking lessons or classes to any aspiring driver. Hi James, thanks for taking the time to lend a hand! My biggest problem is I tend to overdrive my corners. I know I should brake earlier and lightly to get on the power prior to the apex, but it seems really hard to do especially when racing with someone. Do you have any advice or hints on the best way to accomplish this? At the end of the day, practice makes perfect. The more seat time you spend working on that, the stronger you will be at it. I know it’s hard to think too much about it when you’re out there and focused on driving at the limit, so a good trick is to start a session slow. Do a few laps at 80%, really think through the technique you want to work on, then go 5% faster each lap until you’re back at the limit. Hopefully, going through it a few times at a reduced pace will make it come naturally when you’re flat out. Hey James, Thursday is the final race of our karting championship. I want to do my best in this final race, and I was wondering how you get “in the zone” before a race. I think the best thing to do is treat it like any other race. You are clearly good at what you do, and you do it because you love it, so just focus on those facts and go enjoy doing what you love. As soon as you think about anything more than that, you stack on the pressure and you’re more likely to make a mistake or drive slower. Just drive it like it was any other day in the kart. At what point in your career did you know you had what it takes to be a pro? I’m still trying to figure that out! In all honesty though, there were a few times in my career where I seriously questioned whether I had what it takes. This sport is tough and really tests people. But then I’d always have moments that made me truly believe I was good enough to race at the top level and I would always focus on those moments when things got tough. I think my second year in Indy Lights was what made me think that I deserved a shot. What steps do you take on the day of the race to prepare yourself mentally, physically, and nutritionally? Mentally, I just try to be as prepared as possible for the race I’m about to start. I like knowing exactly what setup we are going with for the race and why. I like knowing our strategy and any contingencies we have thought about. I then try and actually have a short nap, as I find it clears my mind and I wake up refreshed and thinking about only the race. Your physical preparation is done well before you get to the track. We spend 5-6 days a week training for when we are in the car. On race day, you try and conserve all your energy for the race. Light stretching is the only physical activity you’ll really do. Nutritionally you need to be well fed from the night before and have a decent size breakfast – lots of carbs since we will work very hard and burn a lot during the race. Also being hydrated is VERY important. We can lose 5-10 pounds during a race and a lot of that comes from water weight. Do racing video games or simulations really help on honing driving techniques? I have not found simulators to really help driving technique, per se, but they have become very good for learning new race tracks. With the laser scanning they do, the corner geometries, bumps and track grip level are all very accurate. I’m a young racer looking to get into something bigger than a go kart. I have looked into the Mazda Road to Indy program. What would be the best way to get into the program? The Mazda Road to Indy is associated with every level of the sport, right down to karting. They held a Scouting Combine last year where some karters were given the chance to test a F2000 car and the winner was given a ride in the St Pete round of the USF2000 championship. This would be a great introduction into the Road To Indy program and give you a feel for the type of machinery you want to be driving. I would look into what the criteria is for a karter to be selected for the combine this year and try and land an invite! What’s the biggest mistake drivers make on the road? Distracted driving. Whether it’s texting, phone calls, the radio, eating or even chatting to someone else in the car, driving a road car safely takes just as much concentration as driving a race car at 200MPH. If you’re going to drive, focus on doing just that. Do you have a manager and do you recommend a manager for someone in the beginning levels? My manager is my father. We have worked our way up the ladder together, learning a lot about the business side of the sport. I certainly see benefits in someone starting out in the sport having manager, but you need to be very careful about who you trust with your career. Going with a reputable manager or management company is likely the best bet, if you choose to go the manager route. Never use someone new to racing, as the business is very unique and experience in other businesses doesn’t often translate. If you are thinking of using someone, ask around as racing is a small world and if they have worked in racing before, someone will be able to tell you if they are legit. 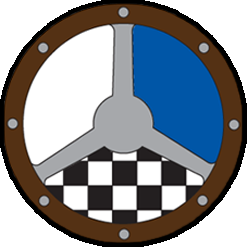 How involved do you have to be regarding knowledge of a car’s mechanical parts (i.e. is it better to know the mechanical attributes of a certain car so that you can potentially assist with car setup by making specific suggestions such as suspension changes rather than just telling your race engineer/crew chief how the car is performing) to be competitive in it? Great question! There is definitely a huge benefit in having an understanding of the mechanics and physics of a race car. It not only gives you a better feel of what the changes to the setup are physically doing to the car on track, but it lets you communicate more precisely with your engineer. You always hear about how important it is to watch your tires during a race and how it is important to avoid tire degradation., etc., but what exactly goes into changing your driving style to avoid these problems and give your tires more life? How much space do I have to write! Another great question, and there are a few answers. Usually at a given track one end of the car will fall off more, or faster, than the other. Some tracks it’s the front tires, others the rear. A lot depends on the specific balance of your car that day, too. If your car is understeering and thus wearing the front tires more, you generally try to carry a little less entry and mid corner speed, as those are the parts of the corner that work the front tires harder. This allows you to get the throttle sooner and accelerate more aggressively and hopefully not lose much lap time. Similarly, if your car is oversteering, you will be very conscious of eliminating any sliding in the rear and any wheel spin, which you do by being progressive on the throttle. On ovals, different lines can also affect tire wear. When you moved up to Formula BMW what was the hardest thing to get use to? In general moving up to cars brings a lot of new challenges from go karts, but one of the biggest was downforce – understanding that the faster the car goes, the more grip it actually has! It seems really backwards and it was tough to wrap my head around that one. What is the quickest way to learn a new track and a new car (Skip Barber F2000) before a big competition, like the Skip Barber Karting Shootout? It’s tough to learn a new car without physically driving it. If there is any chance of driving the car beforehand, do it. For a new track, you’d be amazed at how close some of the sim programs are these days. Programs like iRacing can really give you a good sense of a race track, so I would recommend that if you can get on it. How do you manage your nerves or anxiety on the days and moments before important races? This is definitely a big part of being a driver! I worked with a mental coach for a number of years to work on keeping a handle on my nerves and treating each race like any other. It’s easy to add pressure to an already intense situation, so I try to just stay calm, chat with my crew guys, crack jokes, really anything to make it feel like any other day at the track. Then once the helmet goes on, you forget about everything and get down to business.